This past February 72-year old Devorah Levine collapsed unconscious in her kitchen in the community of Karnei Shomron. The otherwise healthy mother of four and grandmother of twelve was the active type. Neighbors were used to seeing Devorah on her regular walks around town. What a shock this was to the people around her. Her husband immediately dialed the local emergency number. It was a matter of seconds before rapid responders were at Devorah’s side giving her lifesaving treatment. They did CPR and when that didn’t work, they used a Life Pak Defibrillator to determine that her heart had stopped, and to shock her heart back to life. Thank God, Devorah’s heartbeat returned. In just three minutes Devorah’s life was saved. 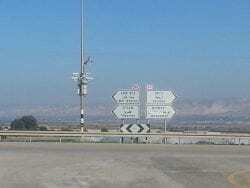 On Wednesday March 2nd terrorists opened fire on a police car near the community of Rechelim. The drive-by shooting caught the police officer, David Cohen, by surprise. The terrorists sprayed his car with bullets, lightly wounding him and severely damaging his vehicle. Hearing the gunshots, the Rechelim security guard quickly called members of the Rechelim Rapid Response Team. Just a few weeks before this incident, the Rapid Response Team had been using a civilian texting app to call rapid responders in case of an emergency, a system that was not always reliable. Days before, the community acquired brand new emergency communication devices. Thanks to these communication devices, rapid responders were able to quickly and efficiently respond to the emergency on Rechelim’s outer road, giving David the medical attention he so badly needed. It was in the middle of one of the worse snow storms in Israeli history and Sde Boaz was covered in deep snow. A dangerous electrical fire spontaneously erupted at the entrance to the Friedman family home. They called their neighbors for help but most of the neighbors were closed in by the deep snow drifts that covered their doorways. It took precious minutes to dig themselves out and get to the blaze. At the time, there was not a single fire extinguisher or fire hose in the community so neighbors resorted to throwing snow at the flames. They managed to contain the fire before anyone was seriously hurt, but everyone was shaken as they realized how illequipped they were. They decided to do something about it. 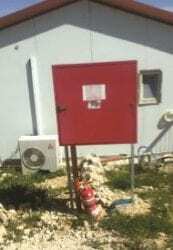 Now as the residents of Sde Boaz walk up the hill towards their homes they take comfort in the sight of a centrally located fire hydrant that reaches each of their houses. When the Friedmans and their neighbors recall that frightening day, they feel safer knowing that next time they will be better prepared. While God is the ultimate protector, we have seen how important it is to be prepared in the face of emergency. The recent wave of Arab terrorism has shown us just how vulnerable we can be. A strategically placed surveillance camera or bullet proof vest can mean the difference between life and death. This is why we take our emergency needs so seriously in the Biblical Heartland. Last year many communities throughout Judea and Samaria requested the assistance of CFOIC Heartland in helping them make their communities safer. Understanding this great need, CFOIC Heartland devoted its year-end campaign to emergency projects. Thanks to you, the year-end campaign was a wonderful success! Devorah, David and the Friedman family are just a few of the people you helped. 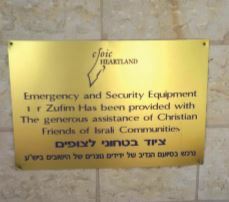 Christian friends all over the world helped in the purchase of Life Pak Defibrillators for the community of Karnei Shomron, emergency communication devices in the community of Rechelim, and firefighting equipment in the community of Sde Boaz. 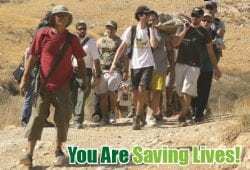 Thanks to you Karnei Shomron and Rechelim had what they needed to save Devorah and David’s lives. And Sde Boaz now has what it needs in case of another dangerous fire. Devorah, David and the Friedman’s stories are the story of tens of thousands of people all over Judea and Samaria who are better off because of your generosity. Thanks to you, emergency responders in Karnei Shormron, Maale Levona, Maale Shomron, Rechelim, Sde Boaz and Zufim now have the lifesaving equipment they need. You have also helped purchase an emergency generator for the community of Alon, and surveillance cameras in the Jordan Valley and Yakir. The people of the Biblical Heartland are all so appreciative of what you have done for them! It could have ended differently for Devorah, David, or the Friedmans. Now thanks to you they can all have peace of mind as they continue to live with conviction in the heart of Biblical Israel!